Google News Lab’s Fundamentals Course – allows to verify the content. Jeffrey’s EXIF Viewer – allows analysis of photographs, including any included metadata. Will not work very well with photographs downloaded directly from social media (e.g. Facebook), as most social media sites will strip the photograph of its metadata and resize it to fit their site’s parameters. TinEye – allows reverse search of photographs to find original date of upload for duplicate photographs. Amnesty International’s YouTube DataViewer – shows you a YouTube video’s exact upload date and time and the thumbnails used with the video. By reverse image searching the thumbnails, you can locate any other uploads of the same video. SunCalc – analysis of shadows. Difficult to use at first, but can be very useful to determine approximate time of photograph or video if there is a clear shadow visible. Wikimapia – use different satellite and mapping services on a map. Crowdsourced/user-generated input and descriptions of locations. Digital Globe – private company that sells satellite imagery. Allows low-resolution preview of any of their imagery through searching database. Majority of Google Earth imagery is from them. Terraserver – another satellite imagery service where you can preview satellite images without purchasing. Kosmosnimki – Russian service that collects publicly-available satellite imagery and previews and overlays on map, per user-inputted parameters. Marine Traffic – can trace boats, including military ships, cargo ships, yachts, etc. Flight Radar 24 – can trace all commercial airliners and most private jets, along with many military cargo planes. Plane Spotters – large database of user-submitted photographs of planes taking off, landing, and being stored at airports and air bases around the world. OCCRP Investigative Dashboard – free, open database that allows you to search hundreds of thousands of files and thousands of databases for information on individuals and companies. Ukraine Register of Public Procurements – public database of public procurements distributed in Ukraine. Website available in Ukrainian, Russian, and English. Internet Archive’s Wayback Machine – longest-running and most trusted archival service, with pages going back over 10 years. Will save a page onto a neutral, 3rd-party website that anyone can access. The service sometimes struggles to properly archive web pages hosted on social networks. Archive Today – newer archival service that allows you to save a site on its neutral, 3rd-party site, and lets you download an entire page as a JPEG screenshot. Handles social network pages much better than Archive.org. RFE/RL: EU vs Disinfo. Sînt 1.500 de km aproape, sau departe? 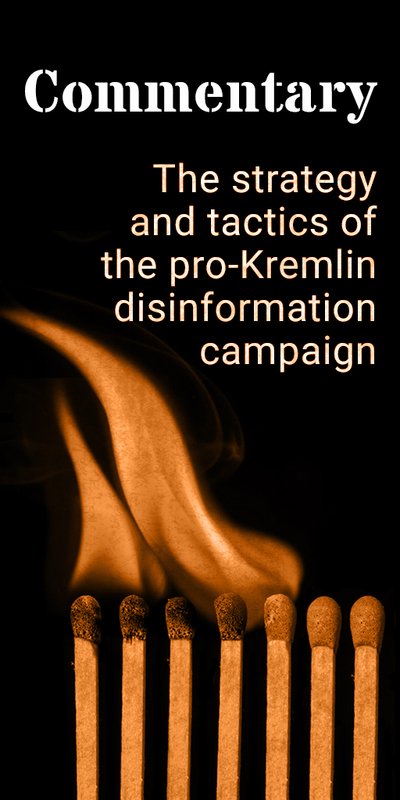 The Disinformation Review focuses on key messages carried in the international information space, which have been identified as providing a partial, distorted or false view or interpretation and spreading key pro-Kremlin messaging. It does not necessarily imply, however, that the outlet concerned is linked to the Kremlin or pro-Kremlin, or that it has intentionally sought to disinform. The Review analyses messages, not the messenger. If the message is a) false, which is determined by the facts and b) originating and/or in line with identified pro-Kremlin disinformation messaging, it is included in the product. 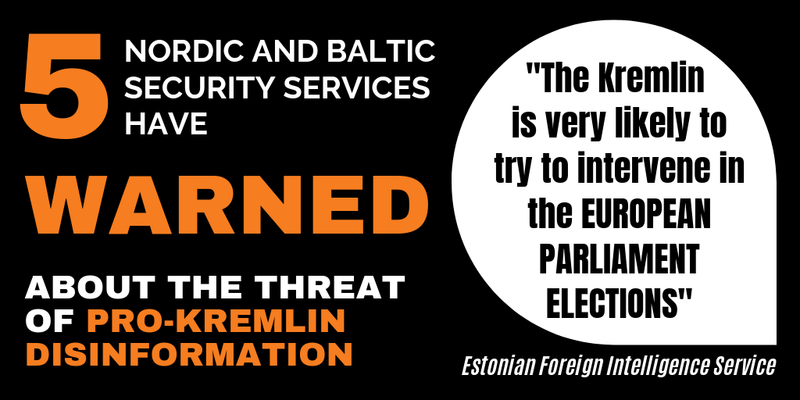 The Review is a compilation of cases from the East Stratcom Task Force’s wide network of contributors and is therefore not considered an official EU position. Likewise, the news articles are based on the analysis of the East Stratcom Task Force, so information and opinions expressed are not considered an official EU position. Have you found a mistake? Give us your feedback below or send us an e-mail.